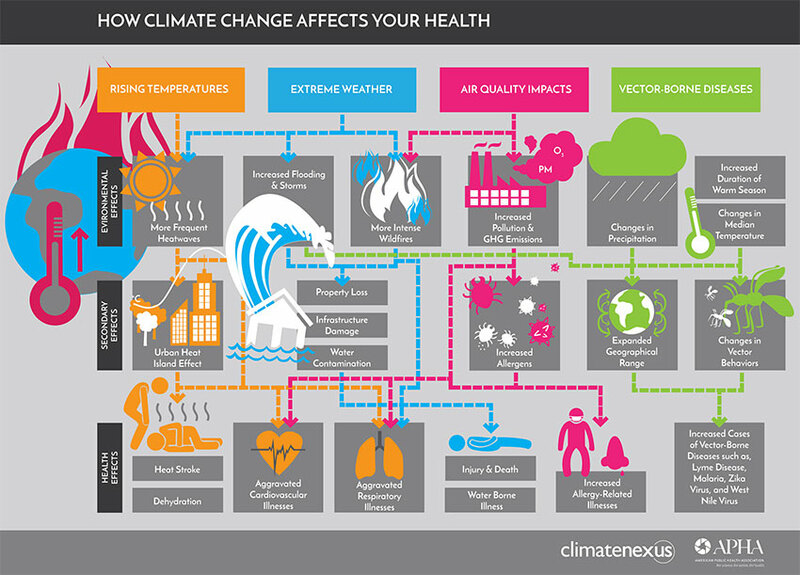 ​Impacts of climate change on people and places, including health hazards, migration and ocean transport routes. Evaluate the effectiveness of the infographic - what are its strengths and weaknesses? 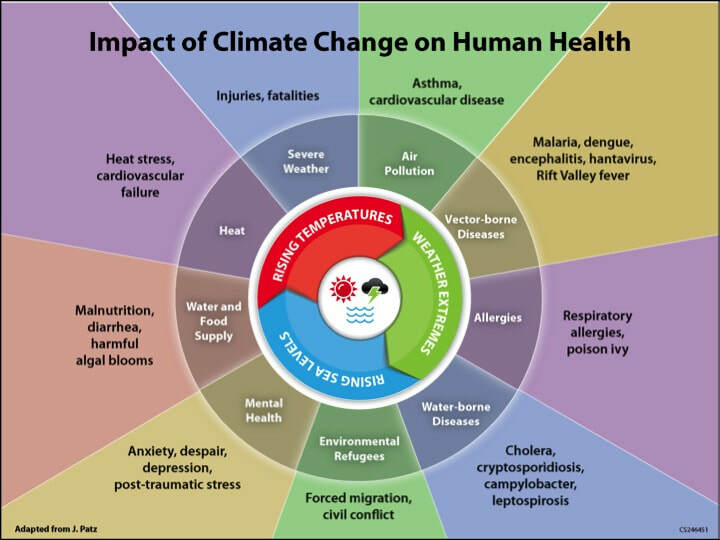 We can divide the impacts of climate change on health into several categories, some of which are listed below. Use the web links to write a paragraph to explain each of the impacts listed. Do you need to add any other categories based on what you have learned? 2. 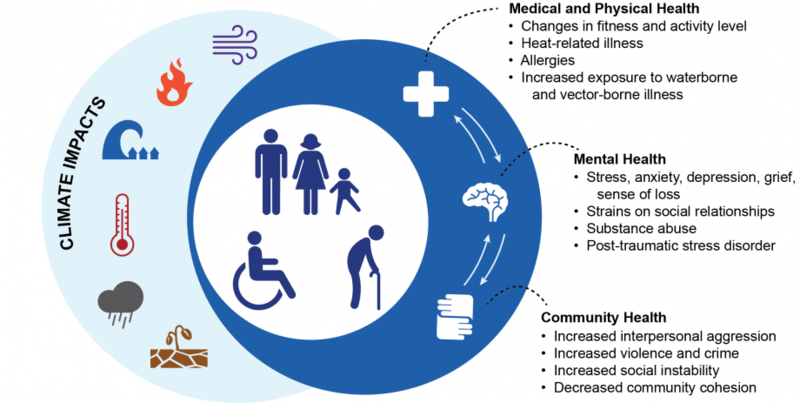 Why do infectious diseases spread more easily in temperature extremes? 3. How many people do mosquitoes kill annually through Malaria and Dengue? 4. What factors increase the dangers of this number rising? 5. What hazards to humans do red tides and zooplankton pose? 6. What impact on water resources could occur in Sub-Saharan Africa and the Middle East? Low-lying island nations may become wholly uninhabitable if sea-levels continue to rise. People in Micronesia, the Caribbean, the Seychelles, Mauritius, and others, may require outright relocation. Climate change may exacerbate—if not directly cause--violent conflict within and between states by intensifying competition for resources, prompting people to flee their homes. Work in threes to examine three recent conflicts. What potential climate change links can you find? 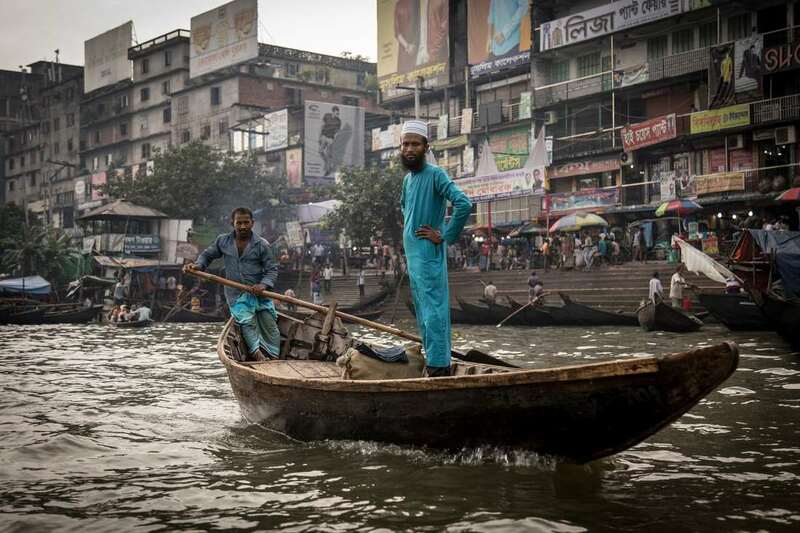 What will become of Bangladesh's climate migrants? b) Kiribati - go back to our work on Population on Kiribati. Make sure you are clear on how we can link this to this section on climate change and migration!